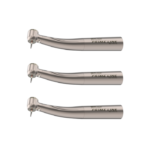 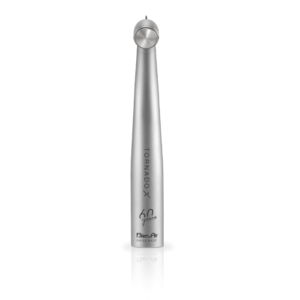 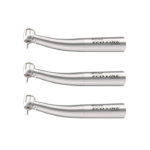 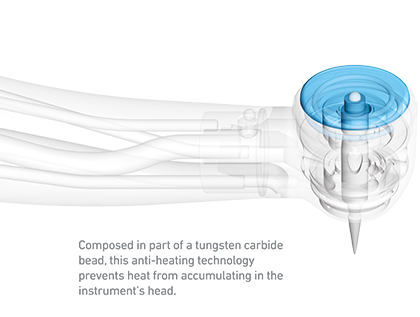 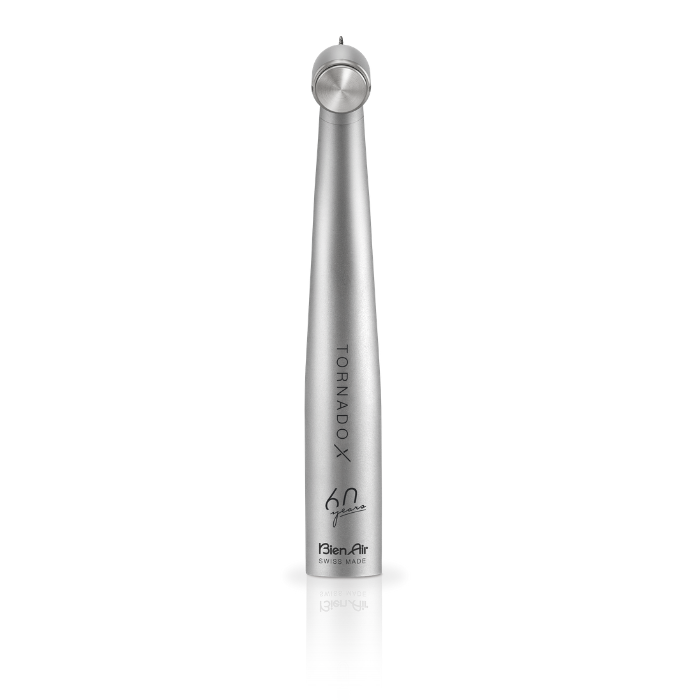 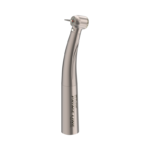 Accu-Chuck™ bur-locking and rotation drive mechanism This revolutionary technology assures a staunch clamping of the bur, eliminating all vibrations, and granting the TORNADO X unequaled stability and comfort for the most precise dental work. 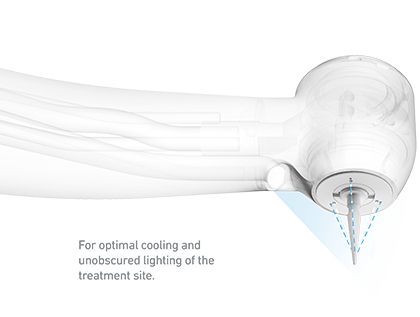 Conversely, bur-release is made quick and safe, thanks to Bien-Air’s unique Soft Push™ system. 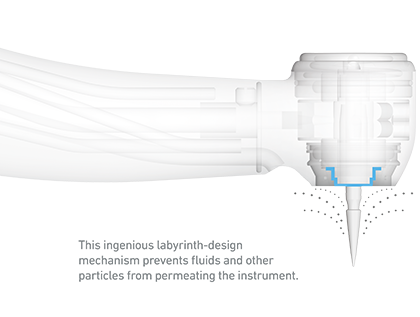 Sealed Head™ contamination control In combination with an anti-retraction valve, this wear-resistant mechanism prevents oral fluids and other organisms from infiltrating the instrument’s head, water lines, and treatment unit. 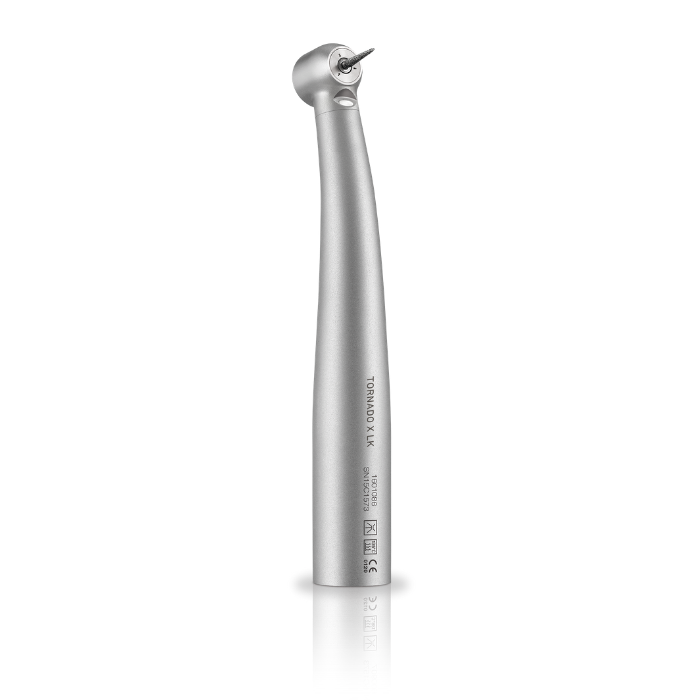 This obviates the risk of patient cross-contamination and noticeably prolongs the ball bearings’ lifespan. 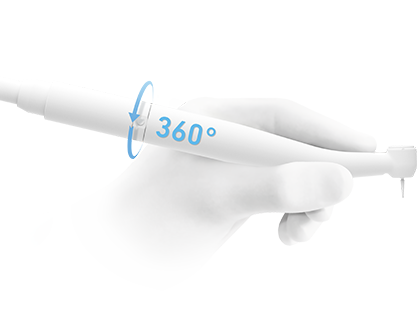 Cool Touch™ safety Conveniently integrated into the head’s push button, this patented anti-heating technology is designed to maintain the instrument’s head at a safe temperature, thus significantly decreasing patient burn injuries. 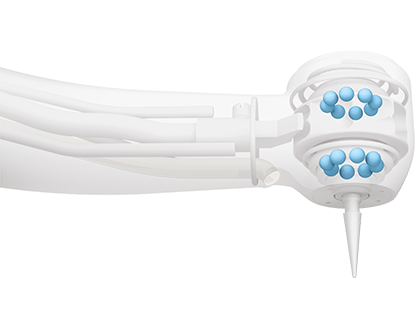 Custom-designed ceramic ball bearings These wear-resistant Bien-Air ceramic ball bearings grant the handpiece extended service life and contribute to lower acoustic noise levels. 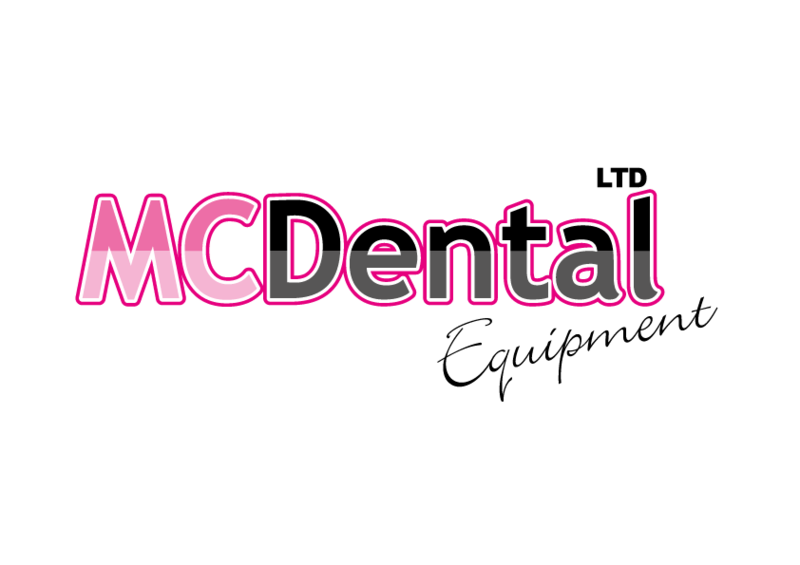 Free move Freedom of movement for optimum working comfort. 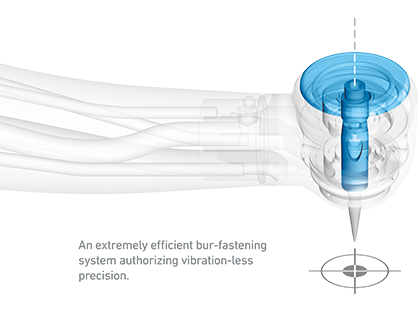 Thanks to its light rotating Unifix quick-connect connection and an easy-to-use secure release, the Bien-Air turbine/hose combination will prove a pleasant work companion day in, day out.